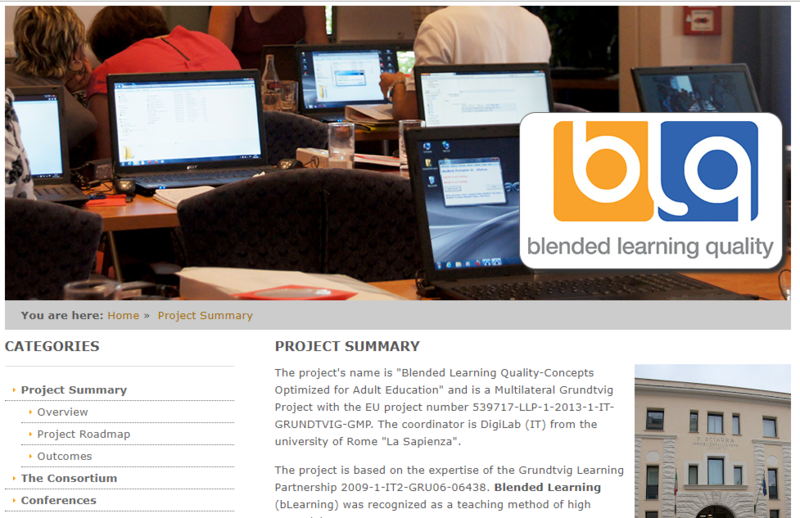 The EFQBL is partner in a new ERASMUS+ Project dealing with the use of multiple devices in Blended Learning. Interested in courses about Blended Learning? Have a look at our course list! Peter Mazohl published a new paper about teaching science to female learners at the ICERI 2017 in Sevilla. The “European Foundation for Quality in Blended Learning” is a non-profit association with increasing number of members. The head of the association is Peter Mazohl. He is a specialists in TEL (technology enhanced learning, former eLearning) and Blended Learning. A research department with Harald Makl as the head. The research work focuses mainly in new technology enhanced teaching and training methods and in the promotion and dissemination of the results of the Quality in Blended learning Project. A project unit is focusing on European projects to promote the research results. A technical unit led by Stefanie Mayrwöger is providing the technical equipment for the distance learning. The unit staff is including programmers and multimedia producers to create the necessary tools and learning content either for the courses or in the frame of the projects. The association is intensively connected with similar institutions and started to establish a network of Blended Learning specialists in Europe. The consortium members of the Grundtvig Multilateral Project “Quality in Blended Learning” 539717-LLP-2013-1-IT-Grundtvig-GMP founded the “European Foundation for Quality in Blended Learning” as a means of dissemination. The association started 2016 with eight operative involved people, two are researchers and teachers, the others teachers, trainers (mainly in the adult education) and technicians. The association’s focus is on modern teaching methods. Members of the EFQBL developed a special method for teaching in ICT supported face2face teaching, which was refined and optimized in the last year. The researchers of the association work in the further development of Blended Learning with a specific focus on learner’s needs. The technicians of the EFQBL maintain several TEL (former eLearning) servers. The pedagogical head of the association is a graduated education system developer and graduated quality manager for educational systems. The association is part of a lose network of people and associations working in the field of quality management in eLearning and Blended Learning. Besides that, social networks are used for presentations and promotion/dissemination of research results.